She was a member and I remember she had logged in when things started going bad before this thread was moved to DIY and when only members could view it, but I don't believe anything was posted from that account in years, not since the previous owner managed the company. Has anyone purchased from her this year? Just curious. Hopefully everyone knows better by now! I wouldn't order hermit crabs online if that's my only way of getting them. Shipping can be dangerous with a company, people aren't careful, accidents can happen without them knowing it. 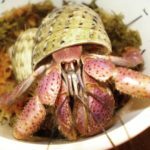 Upon an enthusiastic of hermit crabs and exotic hermit crabs, I can't help it but look up online and I did make an online order with livehermitcrabs.com for two Indos. After done so, I go on into research and stumble onto this topic. To be honest, livehermitcrabs do offer a good sight of exotic hermit crabs on their page which is hard to resist to get some. Anyhow I will be waiting for a week or two to see if any progress. Hopefully this site is still alive. At least it takes PayPal as payment so I guess we kinda have a security on the money. Also if anyone know a good place to get live exotic hermit crabs please let me know either by adoption or purchase please let me know. p2gg86 wrote: Upon an enthusiastic of hermit crabs and exotic hermit crabs, I can't help it but look up online and I did make an online order with livehermitcrabs.com for two Indos. After done so, I go on into research and stumble onto this topic. To be honest, livehermitcrabs do offer a good sight of exotic hermit crabs on their page which is hard to resist to get some. You will probably never get your crabs, and have to open a payment dispute with paypal. This wasn't through LiveHermitCrabs.com but thought I would share. I made an online order for Strawberries about a month ago. Before placing my order I emailed them several times, if they are in stock, I didn't want them backordered, I wanted them ASAP, approximate size, if I can arrange and pick them up rather than have them shipped. After I was satisfied with their responses I purchased them and arranged a pick up near their facility. The night before I prepped a 10 gallon tank, mister, food, and waters so I could make them a comfortable as possible on the way home. It was an all day road trip, 250 mile drive one way, Central Pennsylvania to almost Richmond, VA. If I could not have picked them up I never would have purchased them online. Not everyone has the luxury of being able to do a day long crabbie run I just didn't want them to suffer any more grief than what they have already been through. I would say shipping would be the last possible option. Ask a lot of questions about how they are shipped, containers, packaging, heat, etc. ask what days they ship, are you getting next day shipping, that way you can be prepared for their arrival. To them the crabs are just dollar bills, to their new owners they are family. Thank the good lord that livehermitcrabs.com has been taken offline so they can't scam anymore people. To bad it cost me $97.00 to find that out. Hopefully PayPal will return my money from those scammers.